Clay Crossing is a rehabilitation center that offers treatment services to adult males aged 18 and above for alcohol and substance abuse. The center offers a spiritual and natural environment to its clients through a 400-acre ranch on which it is located. The mission of Clay Crossing is to help individuals achieve freedom from chemical dependency and problems with alcohol through comprehensive treatment services that help them grow individually as well as spiritually. Clients are empowered to become better individuals who are able to rebuild their broken relationships and bring peace to their families. The center offers residential treatment services for substance abuse and co-occurring disorders such as depression, anxiety, trauma, and family issues. The treatment programs utilize an integrated approach which is comprised of evidence-based therapies, spiritual education, development of life skills, and reconnection of individuals with families. Clients are encouraged to build a stronger connection with God through Christian teachings and the study of the Bible. This enables them to heal and transform by binding together the divine and human elements. The usual duration of stay at the center is 30, 60, or 90 days or longer. The center also offers aftercare and relapse prevention services for its alumni free of charge for the first year. 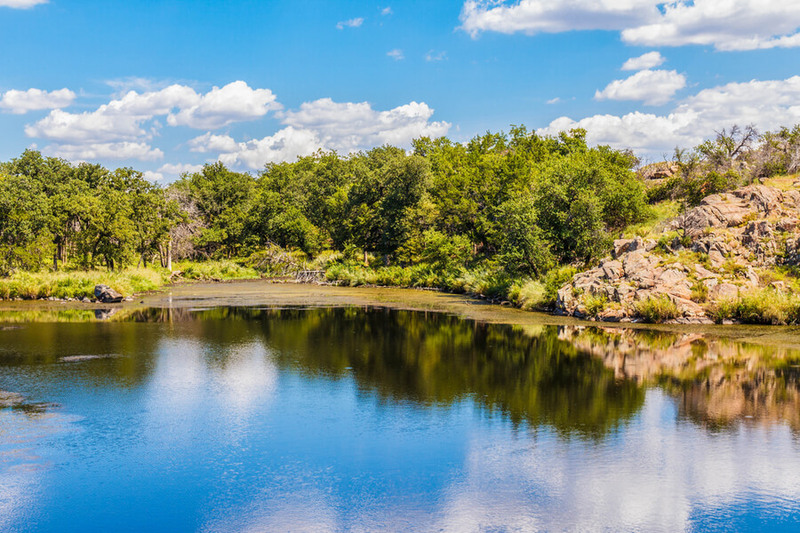 Clay Crossing is located on 400-acres of a ranch in rural southeast Oklahoma. The huge land is covered with forests at some points and comprised of native grass plains at others. This rural setting away from the chaos and turbulent environment of the city provides clients with a peaceful and tranquil atmosphere where they are not distracted. They are able to focus on their healing journey and move towards recovery one day at a time. The campus is comprised of ranch-style houses which contain rooms in which clients stay. Each room, shared between two clients, is furnished with twin beds, dressers, and closets for each one. Each room has an attached bathroom for both clients to share. The houses comprise common rooms with TVs where clients can relax and enjoy in their free time. Clients are offered a number of outdoor recreational activities. These include walking trails where they can take long walks and strolls. There are three fish ponds where clients can engage in fishing. The center also has a weight room where clients can achieve physical fitness using machine weights and free weights. Clients are served healthy and fresh home-cooked meals three times a day in the dining halls of each house. Clay Crossing offers residential treatment facilities to adult men aged 18 and above for substance abuse and alcohol addiction. The campus provides a peaceful and tranquil environment for clients away from the distractions of the city. The cost of 30 days of the residential treatment is approximately $5,500 at Clay Crossing. The center accepts cash, check, or credit card for payment of treatment costs. The center also accepts insurance from various providers as payment for their fee. The staff at the admissions office helps clients verify their insurance benefits and choose the best insurance coverage for their treatment program. Clay Crossing offers quality treatment services to men aged 18 and above for issues with alcohol and substance abuse. The center provides a safe and peaceful environment where clients have the opportunity to stay away from distractions, stressors, and family problems. They are able to focus on the positive healing journey in a structured setting. Clients are able to experience a spiritual awakening through the Christian teachings and Bible study. They establish a stronger connection with God which helps them in achieving lasting recovery. Clients participate in individual and group counseling sessions along with meditation and reflection. The family is also involved in the treatment process which enables clients to build healthy relationships. They are also provided vocational assistance which helps them become independent and productive individuals after leaving the facility and re-joining the community. Through their dedication and commitment, and with the help of a higher power, clients are enabled to achieve lifelong recovery. Clay Crossing is a men-only rehabilitation facility that offers treatment services for chemical dependency and alcohol addiction. The staff at Clay Crossing provides clients with the guidance and service they need to let go of their addictive behavior and become sober throughout their lives. All staff members adhere to the center’s values of compassion, respect, integrity, and accountability while providing treatment services to clients. Most of the alumni of Clay Crossing attribute their success in recovery to the dedicated and compassionate efforts of the staff members. All staff members are experienced and trained for the services they provide which result in their offering premier services with a high success rate. They are sincere and committed to realizing the vision of the center to make it one of the best chemical dependency treatment providers of the country. The staff is comprised of four licensed therapists, an activities director, a facility manager, and a case manager. These are the core staff members two of whom stay at the facility full-time whereas the others come in the morning and leave at night. The staff members also include licensed social workers, counselors, and volunteers.